Mike’s Pizza Bar is truly a tribute to Mike Ilitch. 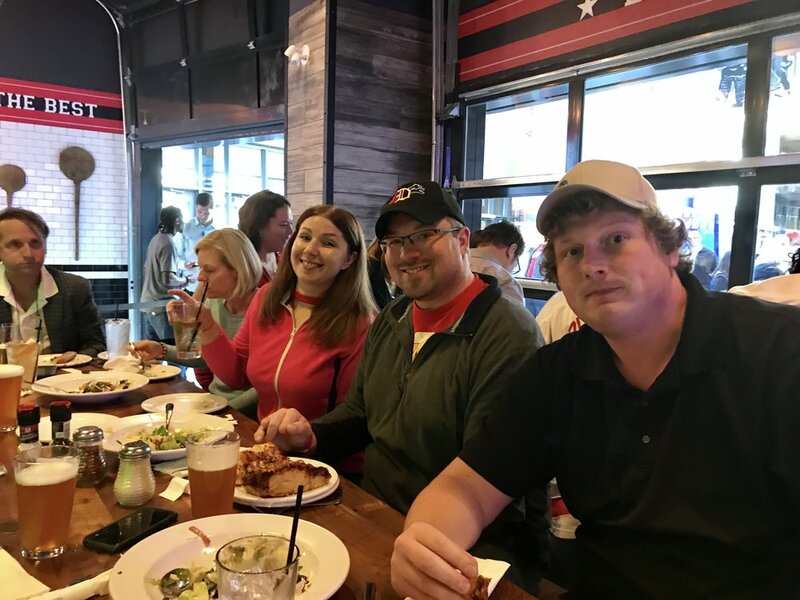 Healthy Living had a teambuilding event at Little Caesars Arena in late September that began with dinner at Mike’s Pizza. Mr. Ilitch’s favorite phrases and mottos line the top borders of the walls, like “You’re Only as Good as the Last Pizza You Made.” There are also pictures of him playing during his baseball career. After dinner and listening to a relevant speaker, we entered the arena right from Mike’s Pizza, and about 25 of us watched the pre-season game against Chicago. The new space is beautiful, and it was awesome to see it right after it opened! Find a way to check out the new arena, whether it's to see the Red Wings, Pistons, or another event. It’s interesting to see how different it feels from the Joe! Detroit’s season home opener was October 5 against Minnesota, so the regular season is now in full swing. Go Wings! Newer PostFirst 2017 Player of the Week: Dave!